While i wish to start my own museum someday, right now we need to save the ones we have. Brian Switek over at Laelaps has a very depressing post on the plight of the New Jersey State Museum. Apparently the newly elected wanker (sorry, governor) has decided that the museum shall receive no more funding from the state and is instead relegating the museum to Rutgers University. Problem is, the university has been rather silent on whether it will adopt the responsibility of taking care of the museum (plus they have a hole in their pocket from the newly expanded football stadium). And apparently the governor’s leeches (sorry, lawyers) said that if the university doesn’t want to take over the museum, the collections will be sold off. People who know me know the sheer contempt i have for people who sell fossils. But selling off a museum’s collection (which contains far more than fossils)? That is utterly and totally asinine. I really cannot think of a worse thing to happen to a museum than to sell it’s collections. Museums have spent decades building up their collections. Each item is unique, with it’s own story to tell. It has it’s own history. And they are there in the collections so that future generations will have an opportunity to learn from them. As PZ Meyers said “Museums are not just superficial entertainments (although the creationists don’t get that) — they are storehouses of collected information, like a library that holds a more complex array of data than books and recordings. You don’t build them because you’ll get a benefit next week, but because it is a long-term investment in intellectual infrastructure.” So do what you can to support the New Jersey State Museum and all the other museums out there. They all tell the story of us and our world. They teach people, young and old, about the mysteries and wonders of our little blue planet. To see the sorry state of science education in this country makes me sick. The treatment of museums, one of the greatest tools of science education, makes me want to puke. Sorry for the long delay. I have just had so much to deal with lately (a persuasive speech for speech class, math and geology tests, getting diagnosed with a mild case of clinical depression). And I’m still working on it so try and bear with me if the post is a little brief. To give you an idea of how small it is, that scale bar is a foot long! Its skull was about the size of my hand and its vertebra were barely bigger than a quarter. It is still unknown if it is an adult or a juvenile, but if it’s full gown it would be the smallest cetacean known. It is also in need of a name but I have no idea what that is because last I checked it was still under study. Let’s hope they figure it out soon. California is not a good place for dinosaurs. When I was growing, I was obsessed with dinosaurs (that was before I discovered the joys of mammals) but was hard pressed to find any. Sure Los Angeles had some fantastic fossils, and the California Academy of Sciences had some too, they just weren’t in any kind of abundance. That’s because for most of the age of dinosaurs, California was underwater, with a tropical sea lapping at the feet of steep coastal mountains. As you should know, dinosaurs didn’t live in water and mountain environments don’t preserve fossils very well. 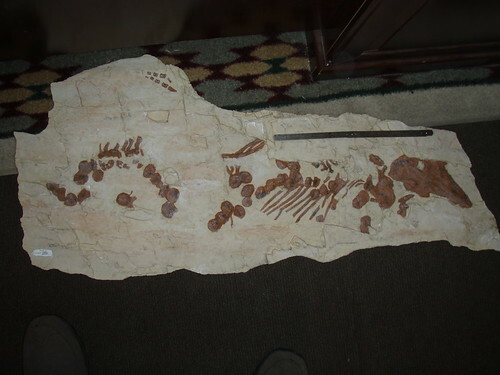 But every now and then the odd dinosaur fossil pops up, usually in marine sediments. And one of these rare dinosaur fossils really stands out from the others. Its name is Aletopelta coombsi. 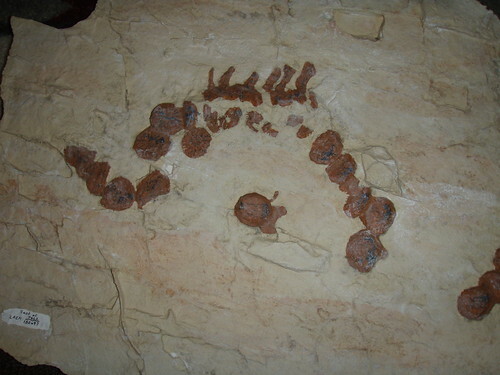 Aletopelta was found back in 1987 during a construction project (as many, many fossils are found in California) in Carlsbad, near San Diego. The front end was scraped away by a backhoe, but a substantial amount of the skeleton was recovered, allowing a description of the material. Not terribly impressive, but for dinosaur poor California that’s pretty good. Aletopelta means “wandering shield”, because when Aletopelta was deposited, it was living just across the border in Mexico. Tectonic forces have since moved the remains into what is now California (and as we’ll see, “wandering” is apt for this particular specimen). 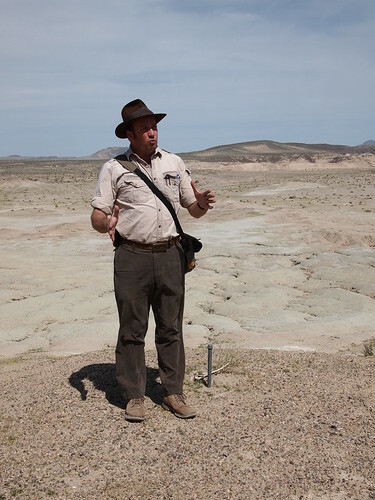 The species name honors Walter P. Coombs, Jr., and expert on ankylosaurs. 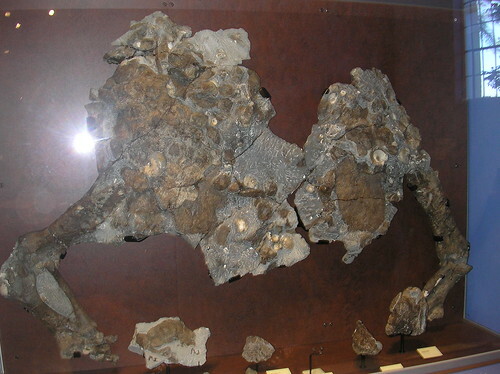 Aletopelta was originally thought to be a nodosaur. 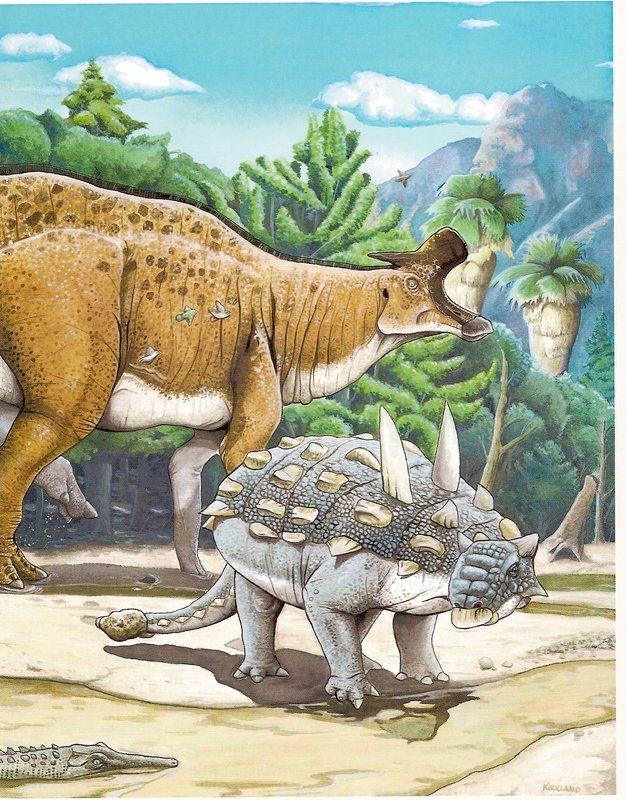 But later work argued, based on plate and tooth morphology as well as limb proportions, that it is an ankylosaur. 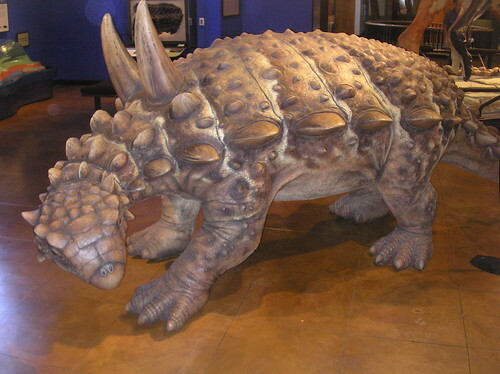 Thus Aletopelta is the only ankylosaur known from the west coast. It is also the only dinosaur named from California. But what makes specimen interesting to me is how it was deposited. As I alluded to above, this animal’s name can be applied for another reason besides plate tectonics. 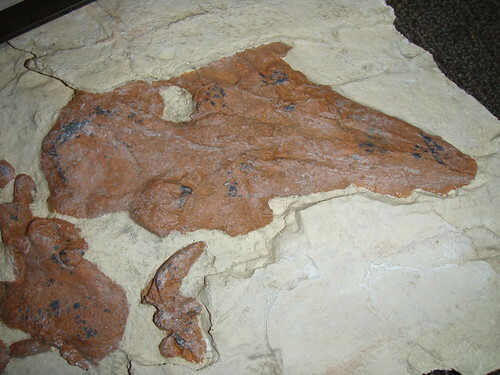 Aletopelta was found in 75 million year old marine sediments. But how did it get there? Heavy armor plating and a stiffened tail ending in a club hardly qualify as adequate swimming gear. It is thought that ankylosaurs lived along the banks of rivers and estuaries, since their teeth seem adapted to eating the kinds of soft vegetation that grow along their edges. Because Aletopelta was found in the ocean, it is likely that the animal fell into a river where it drowned. Its carcass was washed out to sea, where it probably bloated from decomposition and floated around for a few days. 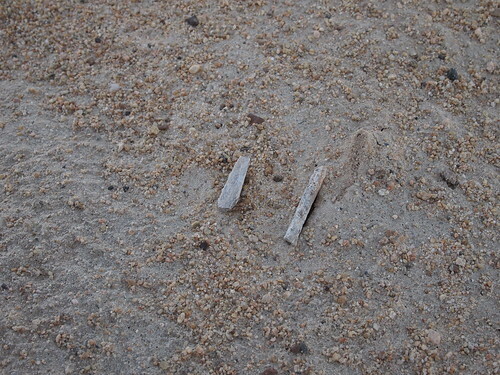 A shark tooth was found among the remains which suggests sharks may have scavenged the carcass. So after a while the animal’s body fell to the ocean floor. The remains rested on the sea bed long enough for a colony of oysters and clams to grow on them. Slowly the dinosaur and mollusks were buried by sediments. 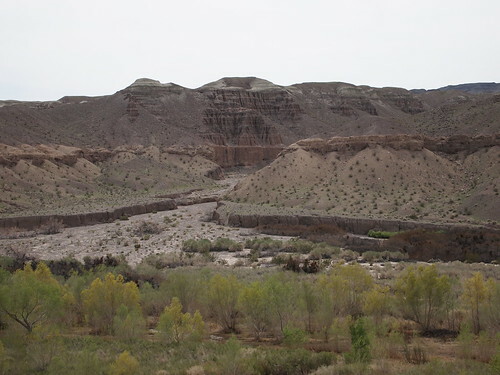 Geologic uplift brought the sediments out of the sea where millions of years of erosion and one piece of construction equipment with good timing exposed them for the first time in 75 million years. That’s quite a journey to undertake! How lucky are we that a freeway needed to be expanded so that a backhoe could uncover one of the most complete dinosaurs on the west coast? And one that could tell such a story nonetheless! It may not be as impressive as other finds made in more dinosaur rich areas, but it’s an animal found nowhere else (and isn’t just another hadrosaur) and adds a splash of the age of dinosaurs to the Golden State.